Fortress Of Freedom Board :: View topic - TWENTY6HUNDRED Finishes In-House Production Of Album! TWENTY6HUNDRED Finishes In-House Production Of Album! Posted: Fri Aug 15, 2014 3:07 am Post subject: TWENTY6HUNDRED Finishes In-House Production Of Album! By Shane Murphy (A&R), FOF RECORDS Inc., Fortress of Freedom Inc. 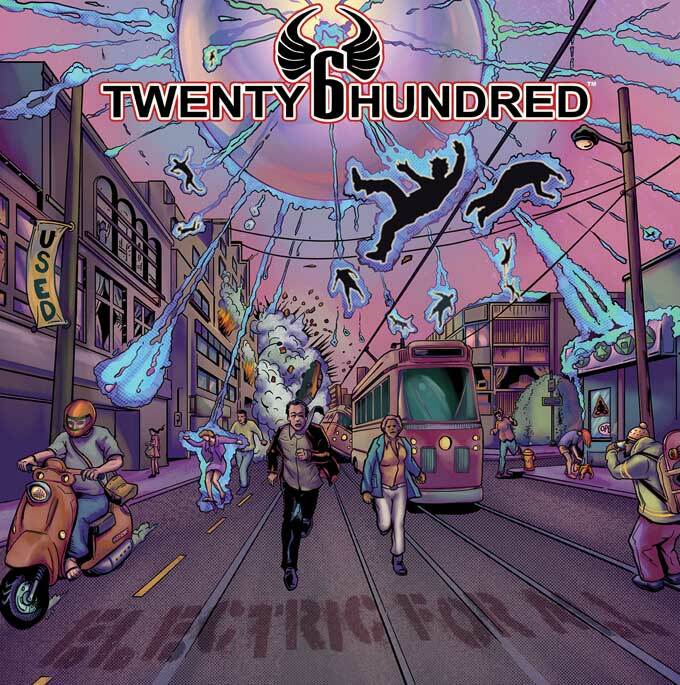 Album cover for TWENTY6HUNDRED's "Electric For All"
TWENTY6HUNDRED have finished the in-house production of their upcoming album Electric For All! A year in the making this new album brings the band firmly into the alternative genre with the newest addition to the band: Mihai Trusca! The album will now go to mastering and CD replication and download sales before being officially released this fall. Congratulations to Michael Atkinson, Mihai Trusca, Jim Burdon and Randy Nolson for their work in the production of this album so far. And best wishes on the completion and launch the album in the months ahead!